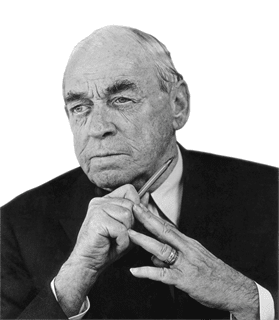 Alvar Aalto is one of the greatest names in modern architecture and design. Born Hugo Alvar Henrik Aalto (February 3, 1898 - May 11, 1976) in Kuortane, Finland, Alvar Aalto was noted for his humanistic approach to modernism. He studied architecture at the Helsinki University of Technology from 1916 to 1921, and returned to Jyväskylä, where he opened his first architectural office in 1923. The followingyear he married architect Aino Marsio, who would become his partner both in life and work. 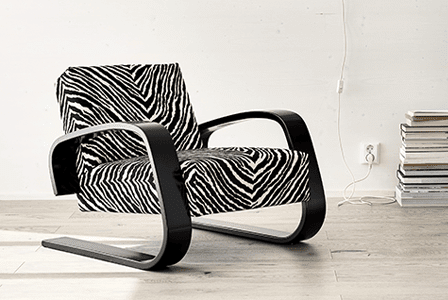 Artek was founded in Helsinki in 1935 by four young idealists: Alvar and Aino Aalto, Maire Gullichsen, and Nils-Gustav Hahl. Their goal was "to sell furniture and to promote a modern culture of living by exhibitions and other educational means." The Artek collection consists of furniture, lighting, and accessories designed by Finnish masters and leading international designers. 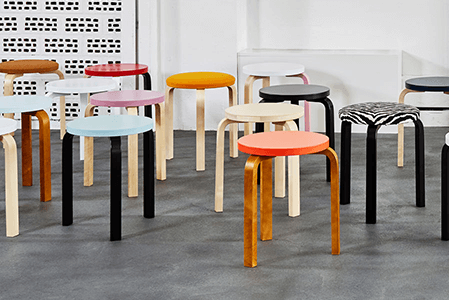 Many of the original, iconic designs are still Artek's best sellers, especially those that utilize Aalto's patented method of bending wood. What started as a glass factory in 1881 is now a Finnish brand with global recognition. The red iittala logo is recognized by every Finn and modern design fan alike, and many keep the "i" sticker on each product to showcase the trusted design and craftsmanship it symbolizes. Iittala believes objects should be distinctive, combinable and multi-functional, inspiring individual use and expression. While we call one of Aalto's most famous designs a vase, you'll find that many of its fans and owners have found other creative uses for it just as Aalto had intended. Even everyday objects are given thought that carries them through the test of time. Aino Aalto's collection of iittala tumblers are a staple in cupboards today. 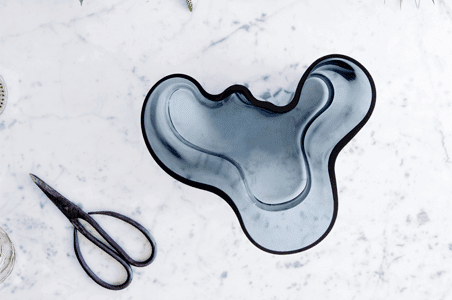 This simple, timeless beauty is what iittala is all about.